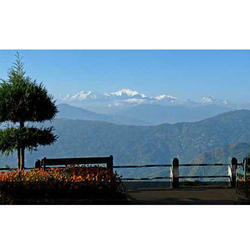 Leading Travel / Travel Agents / Transportation Services of darjeeling holiday packages and darjeeling west bengal holiday package from New Delhi. Darjeeling is a hill town in the state of West Bengal and situated very near the state of Sikkim. It is a popular tourist destination and is located at an elevation of approximately 2000m. The region of Darjeeling is noted for its tea industry and plantations and also for the Darjeeling Himalayan Railway which has been classified as a World Heritage Site.The town was developed in the 19th century by the British as a military depot. Subsequently, extensive tea plantations were established in the region. Darjeeling Tea is internationally recognised as one of the most popular black teas. The Darjeeling Himalayan Railway runs on a narrow gauge and connects Darjeeling with New Jalpaiguri. It was built between 1879 and 1881, and is about 80 kilometres long. Affectionately named as the 'Toy Train', it still has one of the few narrow gauge steam locomotives in India. 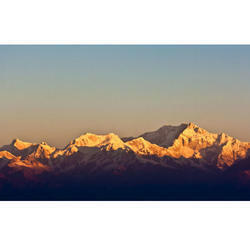 At approximately 11km from Darjeeling and at an elevation of 2600m, provides a fabulous panoramic view of the highest peaks of the world at sunrise:Mount Kanchenjunga (8598 m), almost as impressive as Mount Everest. The best period to view the peaks Iis between October and December and again between March and May. The Senchal lake, a scenic place, is a popular picnic spot; and the Buddhist monastery of Ghoom where one venerates a statue of Buddha of futuristic times "the Maitreya".